I asked board-certified hair transplant surgeon Dr. Robert Dorin his perspective on what shampoo ingredients we should avoid and why. The following is what Dr. Dorin had to say. Ammonium lauryl sulfate, sodium laureth sulfate. Look for a shampoo that does not contain these ingredients, as they are harsh detergents. Sodium Lauryl Sulfate. Sodium Lauryl Sulfate (SLS), another harsh detergent, is the agent in many shampoos that causes that foaming lather we often see in hair commercials. What you don’t know is that exposing your hair to this chemical actually destroys it in the long run, stripping it of essential oils it needs to stay healthy, breaking down protein and halting healthy hair growth. Products containing SLS have a cleaning power that is overwhelming, stripping the hair. Sodium Chloride. Better known as table salt, sodium chloride is used as a thickener in shampoos and conditioners containing sodium lauryl sulfate. Sodium chloride may also cause dry and itchy scalp in addition to hair loss. Also, this should be avoided in people who have keratin treatments, as it undoes the benefit faster. Polyethelyne Glycol. Also called PEG/Polyethelyne or Polyoxyethelyne, this ingredient is included in shampoos as a thickening agent. It strips hair and skin of their natural moisture. Diethanolamine (DEA) and Triethanolamine (TEA). Products containing DEA or TEA can cause scalp irritation and bad allergic reactions, and they also destroy all the good stuff in your hair (such as keratin), making your hair dry, brittle, and lifeless. Parabens. Used to prolong shelf life of an average hair-care product, parabens like methylparaben and propylparaben are chemicals that are known for their toxic nature. Parabens not only irritate the skin—which can make your scalp unhealthy—they can also affect your hormonal balance, which can result in hair loss. Formaldehyde. 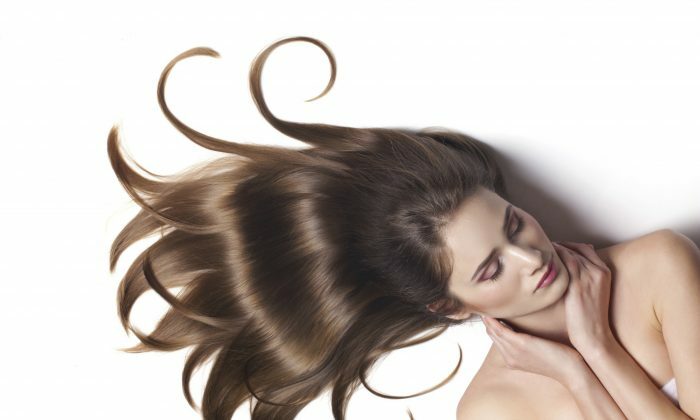 Excessive exposure to formaldehyde, which is found in some shampoos, may cause some hair loss. Alcohol. Almost all hair-care products contain some form of alcohol, which can dry your hair out if it is in high concentrations. Stay clear of shampoos with alcohol listed as one of the first four ingredients, as this means that there is more [than usual] in the product. Synthetic Fragrance or Parfum. This usually represents a complex mixture of dozens of chemicals. Some 3,000 chemicals are used in just one fragrance. Many fragrances are irritants and can cause the scalp to become irritated. Synthetic Colors. Artificial colors are used widely in hair-care products for aesthetic purposes. These ingredients frequently appear as FD&C or D&C followed by a color and a number. Color pigments may cause skin sensitivity along with scalp irritation. Propylene Glycol. Also known as the antifreeze you put in your car, propylene glycol is a common ingredient in shampoos and other personal care products to keep the product from freezing during shipping and storage. It can irritate skin, causing allergic reactions, and it alters skin structure. Lanolin, Petroleum, and Mineral Oil. These ingredients are widely used in greases and pomades formulated for ethnic hair and offer no real moisturizing benefits. These ingredients actually weigh the hair down and prevent the natural oils produced by the scalp from being absorbed by the hair shaft. Dimethicone. Dimethicone is a synthetic polymer and a form of silicone with two methyl groups attached (hence the name Di-methicone). It is usually used as a surface sealant in skin and hair products to coat surfaces in order to seal in moisture and act as a smoothing, texturizing additive. Its safety has been called into question, as there are reports of people who react to this silicone derivative, which can cause irritation to the skin and scalp, resulting in chapped skin, rashes, burning, and itching. Some people also report cystic acne, as dimethicone tends to clog pores and seal in oils and bacteria. It does not allow our skin and scalp to breathe, resulting in increased acne and irritation to the hair follicles, which can initiate hair shedding. Questions still remain if in fact dimethicone can cause mutations and tumors in the skin and internal organs such as the liver and lymph nodes. To date, a causative relationship to its topical use has not been shown. But look for makeup, skin creams, and hair shampoos and conditioners that do not contain dimethicone. Sodium Lauryl Sulfate (SLS) is a surfactant, emulsifier, and a harsh detergent added to literally thousands of cleaners and cosmetic products and toiletries (shampoos, hair dyes, makeup, toothpaste, mouthwash, hand soaps, and laundry detergents). SLS is derived from coconuts, but during the manufacturing process, it undergoes “ethoxylation,” which results in an unwanted byproduct—1,4 dioxane. This byproduct contamination is suspected to be carcinogenic. Although there are no definitive studies proving a causative relationship, there is enough data to suggest caution. The same concern applies to sodium laureth sulfate (SLES). Not only does SLES contain 1,4 dioxane, but it also contains ethylene oxide, which is what the “E” stands for in SLES, and this, too, is an impurity that is considered a potential carcinogenic agent. The key here is that there are thousands of hair and skin care products that contain these byproducts, but it is the continued gradual use and its ability to gain access to our bodies that causes the potential hazard. In this case, not only do SLS and SLES contain the bad byproducts, but also their molecular size is small enough to get into our skin and scalp, giving the bad byproducts entry into our bodies. Conversely there are other cleansers that contain a small amount of these bad byproducts, but their molecular size is much larger, and so they do not get into our bodies. Therefore, these pose much less concern and health risk. Regardless, both SLS and SLES are harsh detergents and are irritants because they gain access to our skin and scalp. The safety of SLS and SLES has been debated for a while now as thousands of small testing studies have been done, all with varying testing standards and therefore results. There still is no definitive clear-cut answer proving that the use of these chemicals in cosmetic products does cause disease. However, I feel that there is enough evidence to at least classify these as mild irritants and harsh detergents that have a molecular size small enough to get into our skin and scalp. I opt not to use these chemicals in my personal care. However, I am not an alarmist, so I am willing to use products that may have trace amounts of the bad byproducts (as there are in every industry) but which do not readily gain access to our bodies. For the past 12 years, I have dedicated my medical career to the practice of medical and cosmetic surgical hair restoration and related disorders. During this time, I have seen a need to develop a hair-care line based on research, literature review, scientific evidence, and clinical trials, and to avoid the above issues for my patients as well as to improve hair and scalp health. The result was the development of Scientific Essentials Hair Care Line. This line addresses the issues discussed above and more. Next week: Part 2 about what ingredients are good to have in your shampoo. 1. Look for shampoos that do not contain ammonium lauryl sulfate, sodium lauryl sulfate or sodium laureth sulfate. 2. Look for shampoos that use a milder form of a cleanser such as sodium lauryl sulfoaccetate and sodium lauryl sulfosuccinate. These shampoos may not foam as much as shampoos that contain the harsher SLS or SLES, but they can efficiently cleanse the hair and scalp without overstripping your hair. 3. Look for a conditioner that does not contain dimethicone. 4. One of the best alternatives is to find a conditioner that utilizes 18-methyleicosanoic acid (18-MEA). This is one of the naturally occurring lipids our hair extrudes and coats itself with. When our hair elongates, the18-MEA is incorporated into our hair and acts as a natural sealer that helps balance the hair shaft’s moisture, increases the hair shaft’s integrity, and renders natural shine. Print this out and carry it in your wallet so it’s handy when you are shopping for shampoo. You can get luster, moisture, and manageability using ingredients that won’t ultimately damage your hair. Think your nail polish is safe and just a harmless indulgence? Guess again.